Search Results for "cinematic titles"
Flying through the gate. Flickering space. Composition in blue tones. Particles blue dust abstract light motion titles cinematic background vj loop. Movement of ice. A place for text. Shimmering cosmos. A composition in blue tones. Snow mood. Christmas background. 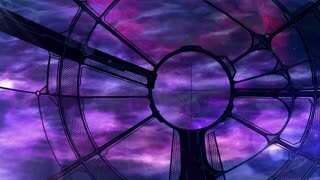 Particles blue dust abstract light motion titles cinematic background vj loop. The camera flies past the structure. Flickering space. Particles blue dust abstract light motion titles cinematic background vj loop. Place for text. Flickering space. Composition in blue tones. Depth of field. Particles blue dust abstract light motion titles cinematic background vj loop. retro future final titles. cinematic background. broken glass. mirror. Particles blue dust abstract light motion titles cinematic background vj. crystalline triangles in the corners of the screen. place for text. Particles blue dust abstract light motion titles cinematic background vj. crystalline triangles in the corners of the screen. place for text. Plexus abstract network titles cinematic background. seamless loop. 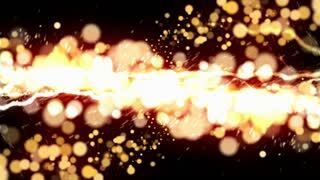 Golden particles motion background. Animation particles. Perfect as a background for topics like cinematic or luxury and titles. Created in AfterEffects with Trap code Particular. a cinematic aerial footage birds eye view straight down the ocean , a beautiful scene of ocean textures and colors , looks like an amazing screen saver , best for titles and backgrounds . a beautiful time lapse of a full moon while the clouds are dancing in a night time on a ocean tropical beach . best for titles and backgrounds. a beautiful time lapse of white clouds in the day time, wide and tight angle shots. best for titles and backgrounds. This shot was taken in Karkle, Lithuania, during the golden hour. The scene shows the beach from the edge of the forest. The view is mesmerizing. Rain forest path walk first person view point of view, in sunny summer day. Suitable for opening or putting titles. Aerial first person view of rocks in no mans ruin land by the ocean waves. Suitable for opening or putting titles. Aerial bird eye view of dark ocean harsh rough waves hitting rocks. Suitable for opening or putting titles. Clear blue sunrise sky time lapse. Blank blurred early morning landscape background. New Clouds B. Clouds passing from right to left, almost appearing as smoke. 24 seconds long for more usability for longer background sequences. Shot in time-lapse, and put through some effects to achieve a surreal, possibly romantic or dramatic. Aerial push scene above beautiful blue ocean waves with a touch of sunrise light, inviting scene, can be used as a background for text and titles.